What a week. Monday I did my back lifting up Lulu's legs on the change table. It spasmed for the rest of the day, even doing small, silly things like opening the toilet lid. Nick, post his 52km competition mountain bike ride (he came first in his class!) took over the lifting of Lulu so I could rest my back for the remainder of the day. Tuesday I saw the physio who gave me stretching exercises & wants me back next Tuesday to inspect my core. Tuesday night Lulu's cough came back (well, it had only been gone for a few days, a few blissful days filled with uninterrupted sleep for all of us) with a vengeance, coughing till she spewed, not keeping anything down vengeance. You can imagine how hard this was to manage with me unable to lift her. Poor Nick. Wednesday Lulu was fine in the morning & went to daycare. She had a great day playing with her friends and doing baked bean paintings, yep painting with baked beans. As soon as we arrived home she started coughing again, wouldn't really eat & once Nick came home she coughed until she spewed. This continued all night. There was a few hours between Midnight & five that she slept soundly. No daycare for her today. Nick stayed home with her in the morning and now I'm home with her this afternoon. We are so lucky to have flexible workplaces. Thank goodness my boss & my bosses boss are both mothers who understand that kids get sick & sometimes you just need to be home with them. I'm going to make up the time next Friday as I really do have a little too much on right now to be having days off. Hence why I haven't taken time with my back. While I was at work the head of Paediatrics got back to me with advice about Lulu from the respiratory specialists. We have to continue with antibiotics until she's had six weeks worth, plus the ventalin. Have you tried giving antibiotics to a one year old? This is going to get old very quick. We have an appointment with the respiratory guys when they do a clinic here in about 6 weeks time. To add to everything we have a plumber coming this afternoon to take out our old toilet so that the tiler can come tomorrow & tile. The new toilet will go in next week. I am so excited about this new toilet as the old one is so old & leaky. 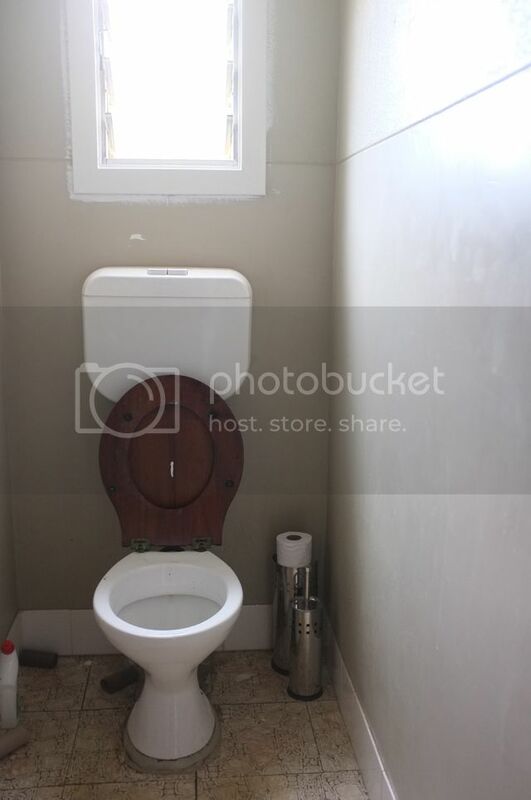 But we only have one toilet, so tonight we pack our bags and head to Nick's mum's place for a weekend away. It's never boring around here.